We spent our first New Year's in California cooking, eating, and going to wineries with friends. 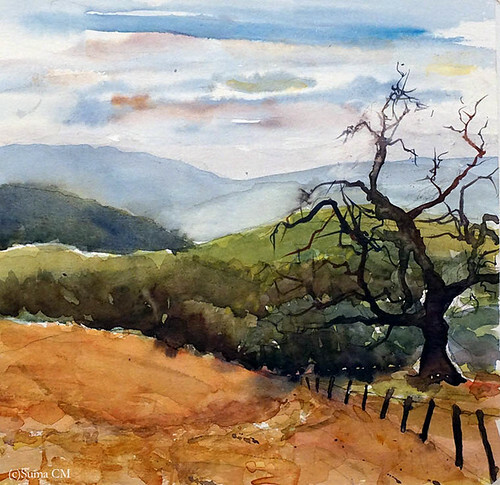 On that Sunday, M and I capped off the holiday with a hike in Henry Coe State Park, where I just had to stop and paint this twisting, gnarled tree. Not a bad way to start 2016!